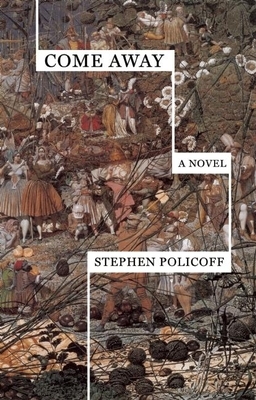 Stephen Policoff won the James Jones 1st Novel Prize for Beautiful Somewhere Else. His essay, "Music Today?" won the Fish Short Memoir Award and was published in Fish Anthology 2012, Kindling Quarterly (Volume 2), and The Majellan. His memoir, Sixteen Scenes from a Film I Never Wanted to See, is forthcoming from Monkey Puzzle Press. His essays and stories have appeared in Family Fun, Provincetown Arts, The Rumpus, Otis Nebula, Wondertime, Review Americana, and many other publications. He is also the author of two YA books, The Dreamer's Companion and Real Toads in Imaginary Gardens (co-authored with Jeffrey Skinner), and the children's book Cesar's Amazing Journey. He has taught writing at Wesleyan and Yale and is currently Master Teacher of Writing in Global Liberal Studies at NYU. He lives with his 2 daughters in Manhattan.